Bitcrushing sounds is like squeezing bubble wrap - once you get going, you just can't stop. Fortunately, the process of mashing up audio leaves you with rather more than a sheet of deflated plastic: this week's SampleRadar collection was brought to you by running sounds through the BugBrand BabyBugCrusher v1 pedal and Malgorithm bit crusher. 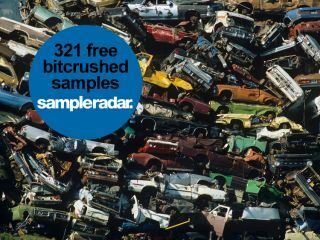 The bitcrushed samples are divided into three folders containing beats, loops and percussion hits. The bitcrushed samples are supplied in a zip file, so you'll need to extract them before you can see them. Enjoy!